More than 400,000 commercial truck crashes happen in the United States each year. Despite this staggering statistic, if a truck accident happens to you, it is probably your first experience with such a terrifying traffic event. Most people are naturally unsure of what to do next since these collisions can be disorienting and can cause severe injuries. Attending to your physical health should be your first priority but next, you should think about your legal rights. Truck accident claims can be complicated and the following are a few facts about this type of case. 1. The cause of the accident may not be immediately obvious.After some traffic accidents, it is clear that one driver ran a red light or swerved into another lane because they were texting. With many truck accident cases, however, it is not always obvious what led to the crash. Determining the cause of the accident is essential to know who should be held liable for the losses of victims. Therefore, you need an attorney with the right investigative resources to help you identify what caused your accident and injuries. Often, people assume that a truck accident is the fault of the truck driver. While this is true in many cases, you also have to prove the specific negligent act that occurred. For example, you cannot simply say “the truck driver made a mistake.” Instead, you must be able to prove that the driver was impaired, distracted, fatigued, or that they violated the law in some way. Some truck accidents have nothing to do with driver error, as the truck driver could not have prevented the crash, either. Some additional causes may include improper cargo loading, failure of the trucking company to maintain the truck, defectively manufactured truck parts, and more. A law firm with the right resources will be able to launch a thorough investigation to identify and gather evidence of negligence in your truck accident claim. 2. The truck driver may not be the only liable party.The Federal Motor Carrier Safety Administration (FMCSA) reported that many truck accidents involve some type of driver error. This does not mean that the driver will be the only liable party, however. In the law, there is a concept called respondeat superior, which holds employers responsible for the negligent acts of their employees or agents. This means that a trucking company that employs a driver may be liable for an accident caused by driver negligence. 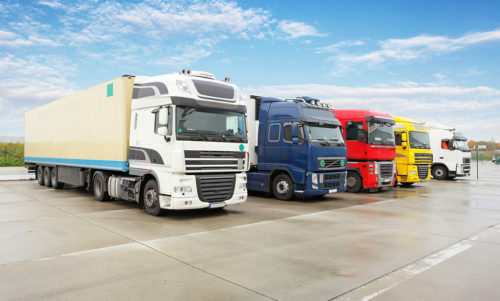 Even if a driver is technically considered to be an independent contractor, a company can be accountable if it allowed the driver to operate a truck that the company owned. A driver may also be blameless in a truck accident, as several other parties can be negligent and lead to crashes. These can include the trucking company, cargo loading crews, or truck manufacturers, among others. Once we identify all of the possibly liable parties, we can move forward by filing insurance claims with the appropriate companies on your behalf. 3. You can still recover compensation if you also made a mistake on the road. You only looked down for a second when suddenly, a large speeding truck barrels into your car. You know you should have been looking at the road and you assume that since you were distracted when the crash occurred, you will not be able to recover for the costs of your injuries and repairs. This is not usually the case, however, and you should have a skilled personal injury lawyer review your rights. California law follows the premise of comparative negligence. This premise still gives accident victims the right to some recovery even if they were partially to blame. In these situations, is it necessary to determine how much fault should be attributed to each party. In the above example, you may have been momentarily distracted, but running a red light is a serious and dangerous traffic violation. It may be decided that you were 25 percent to blame but the truck driver was 75 percent to blame. This means that you still have the right to recover 75 percent of your damages. After a crash, avoid apologizing or taking blame. First, speak with an attorney who can help you understand your rights and options, even if you were somewhat at fault. 4. Call an experienced truck accident law firm as soon as possible. You may think that auto accident claims can be relatively straightforward – you may have even handled a claim yourself in the past. It is important to realize that truck accident claims can be an entirely different matter. Insurance claims after a truck accident are often filed with the trucking company’s insurer. These commercial insurers can handle claims in a much different manner than consumer auto claims. Commercial insurance companies want to avoid liability for themselves, but also for their clients. They will work hard to limit payouts in almost every case, even if you prove you suffered severe injuries and losses. Insurance companies will especially try to take advantage of unrepresented accident victims who may not be familiar with the process. Adjusters may act like you can trust them and tell you that you do not need an attorney. The truth is that you should call an attorney as soon as you can following a truck crash. Our lawyers will communicate with adjusters and identify when an offer is too low. We know how to negotiate a higher settlement and file a lawsuit when needed. Moreover, we handle the legal side of your case so that you do not have the added stress on top of your physical recovery. The truck accident lawyers at Aitken Aitken Cohn handle complex claims arising from truck crashes. We help accident victims understand how the legal process works and strive for the full amount of compensation in every case. If you would like to discuss your accident and injuries, please call (951) 534-4006 or contact us online for a free consultation today.